I develop the total export work with a tire wheel in Maine! MS Company performs a world wide trade! Welcome! Always thank you. The MS Company is a top-class reuse tire wheel shop in Iwate. I usually export it to many countries in the world. A store entrance is this place! The store entrance is an open style fitted with glass! Of course a quality goods tire meets it from the moment when I entered. It is a VITOUR tire regular sales agent! 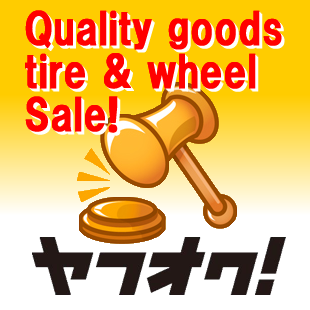 MS Company is an only VITOUR tire regular sales agent in Iwate, Japan! In Iwate, it is only our store to be able to purchase cost performance and wear resistance, the VITOUR tire with quietness characteristics. A lot of tire makers special corner made in Japan! There are the maker tire special corners such as VITOUR, BRIDGESTONE, DUNLOP, too. In addition, I take off a rack every season, and there is it when I decorate it with a tire. When the product in the place that does not reach the hand wants to be confirmed, call me to the staff in the shop willingly. The shop where there is very good used tire & wheel very a lot! A rack exhibits the one piece of article of very good tire & wheel in every size genre neatly. Please really purchase a tire after your picking it up, and having confirmed it. I perform recombination, the exchange work of tire & wheel speedily. Advantageous new article tire & wheel combined sales corner! I am selling very advantageous new article tire & wheel set product! The method to set a tire at the same time in the summer at the turning point of the season in & winter, and to purchase is recommended! Our store staff chooses the set product which adapted to the car of the visitor. 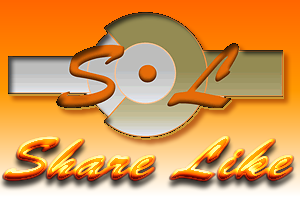 Used tire & aluminum wheel sale corner of the finest class! I set up the booth for exclusive use of the used tire aluminum wheel of the finest class to a lot of in the shop. The aluminum wheel shining shiningly polished to a bright shine is unmissable! 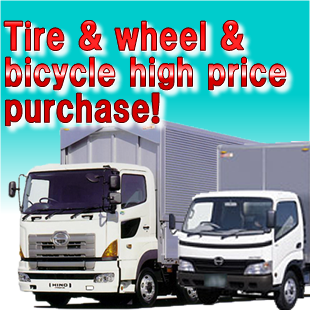 It is during a lot of tires sale with the advantageous aluminum wheel. The reception desk corner of a stylish rest station and the cheerful impression! It is the reception desk corner of the cheerful impression decorated functionally! On head office office, I prepare the stylish, comfortable rest station which can overlook the shop. Please take a break willingly. I am fully equipped with a PC in the office the second floor rest station! I am fully equipped with the PC for the search in the office the second floor rest station of the calm space. 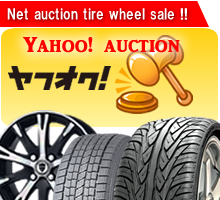 From the search of a purchase hope tire, the car, I can perform a net search in waiting time! A lot of finest used aluminum wheel embedded finished tires sale! I am displaying and selling an aluminum wheel embedded finished tire abundantly. As it is easy to get an image when I attached it to a car, it is recommended! I am selling the new tire abundantly! I am selling a new tire made in Japan at an advantageous rate! Both radial tire & studless tire is abundant. The tire is offered at a bargain price particularly in winter. The assortment of goods which the new aluminum wheel has abundant! Regardless of a size genre, I have the new aluminum wheel abundantly. I arrange the new steel wheel if you want. Please leave the recombinant work after the purchase to our store! Wide Pitt who is available for speedy tire recombinant & exchange work! Recombination, the exchange work after the tire wheel purchase supports speedily, too! As I use the power lift corresponding to all car classes, security, smooth work is possible! I am accepting the exchange work of the turning point of the season by great popularity! Please refer willingly. The staff who was an expert of handling of the tire carries out a quick activity carefully! The staff who was an expert of handling of the tire gathers including a president-director in our store! The recombinant work using the tire changer carries out a quick activity carefully in a short time, too. Leave a tire wheel to us. I am fully equipped with washing space with the high pressure washing! I am fully equipped with the washing space with the high pressure washing machine that can wash used tire & wheel very neatly. The tire of the visitor at the time of the desorption does beauty, too. 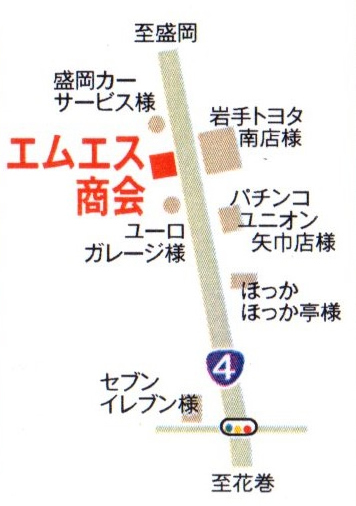 The MS Company is an only VITOUR tire regular sales agent now in Iwate! The VITOUR tire is called the world’s strongest cost performance tire. The feel of the rubber is very silky like the senior model of each maker. It is only our store to be able to purchase high-quality wear resistance, VITOUR with quietness characteristics in Iwate. I carry out bulk buying collecting! MS Company carries out the expensive purchase of the tire wheel. Please contact me once by all means before performing paid disposal. I sell quality goods tire & wheel over the count. I perform a lot of Yahoo Auctions free shipping exhibition! I export Japanese products abroad! 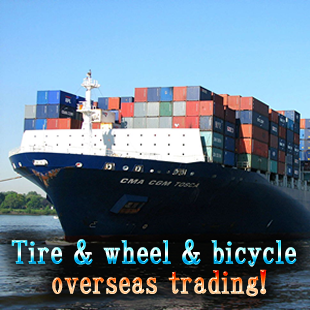 I export quality goods tire & wheel & bicycles made in Japan to all the countries of the world. I reuse it and sell it. The MS Company homepage is multilingualized. Copyright © MS Co.,Ltd. All Rights Reserved.